"I love Panera Bread®'s Orchard Harvest Salad, but it's only offered seasonally so I came up with this very satisfying copycat version." 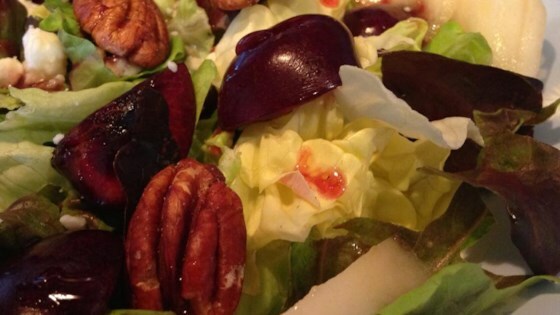 Mix lettuce, pear slices, pecans, cherries, and Gorgonzola cheese together in a large bowl. Pour vinaigrette over the salad and toss to coat. A yummy salad to enjoy all year round.